In Salons, conference attendees gather in an intimate setting with an inspiring host for lively, candid discussion of pressing topics. The sessions are free for attendees but space is strictly limited and pre-registration is required. The sessions will fill up, so don’t wait until you get to Montréal! Salon hosts have assigned easily accessible articles to create some shared reference points for discussion—please read them. By now, the world has come to realize that Britain’s “Brexit” and Donald Trump’s election are not mere aberrations in what was believed to be a stable, neoliberal, global order. Polls and pollsters failed to prepare us cognitively for these twin events. And yet, explanations of how this occurred seem focused merely on White, working-class experience, leaving issues of race, racialization, and gender aside. This oversight is troubling; progress without recognition of intersectionality is not progress at all. This salon will focus on the ways in which ethnographers can and should provide insight into these socio-political shifts and their related undercurrents. The group will discuss how sociological concepts such as intersectionality might help our stakeholders and clients better understand the political and cultural context, and help them infuse their products and services with these insights. We will collectively grapple with ethical risk of reifying intersectionality as mere marketing, and approach the concept of “accompaniment,” or the process of being with a person in their struggle to experience life. How can we as experts accompany our clients’ customers, without exploiting their experience? How can we shed light on inequality, without white-washing its implications? What happens when solidarity is discovered, only to be exclusively White solidarity? Participants are encouraged to bring their own stories of ethical dilemmas, and to share how they’ve tried (and perhaps failed) to help their clients understand equality. 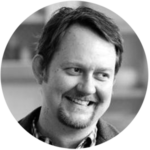 Sam Ladner is a sociologist who studies the ways humans live, work, and play with digital tools. She has conducted workplace studies of engineers, lawyers, and financial services workers, and consumer studies of mobile technology use and social media consumption. 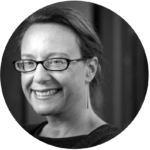 Sam is the author of Practical Ethnography: A Guide to Doing Ethnography in The Private Sector, and has served as adjunct professor at the University of Washington, Ryerson University, and York University. She currently works as a principal UX researcher at Amazon, working on a new invention. She holds a PhD from York University. 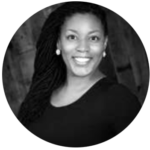 Fatimah Richmond is a researcher whose research interest lie at the intersection of critical theory and technology design. She is either buried in theoretical work on digital divide and work place practices or actually practicing enterprise user experience research. She started her career as a programmer, however she has spent the last 11 years of her career as a UX researcher at top enterprise technology companies. She currently works as a Senior User Experience Researcher at Google, leading research on social networking tools in the workplace. Fatimah has a bachelors degree in Computer Science from Tuskegee University, and completed graduate studies from San Jose State University in Human Factors/Ergonomics and Applied Anthropology while also completing a fellowship in Ethnographic Methods at UC Berkeley, Center of Ethnographic Research. What are the most interesting overlapping areas between ethnography, design, and futures practices? What constitutes a core set of ethnographic futures methods? Forlano, Laura, “Ethnographies from the Future: What can ethnographers learn from science fiction and speculative design?” Ethnography Matters, September 26. Fernando Galdino is a Senior Trend Researcher at GfK Verein, a market research think tank based in Nuremberg, Germany. He has a background in industrial design and design ethnography. As a design researcher, Fernando has worked with a wide variety of companies, helping them to envision future possibilities, as well as to create products and services that resonate with people. 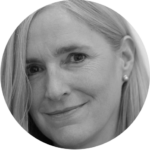 Lyn Jeffery is a Research Director at the Institute for the Future, a nonprofit futures research and prototyping organization in the San Francisco Bay area. Lyn’s background is in cultural anthropology. Research interests include future of communications and media, design and manufacturing, futures education, and China. Miriam Avery is an anthropologist and foresight strategist serving the Mozilla Corporation. She’s currently building a foresight capability in the Emerging Technologies (think: R&D) team at Mozilla. She cut her teeth on futures at the Institute for the Future, where she investigated how we may take care of ourselves and one another through health care, food, work, caregiving, and technology. Design for a post-gender society has been proposed as an imperative (e.g., Suzanne Tick here and here). The notion of post-gender itself has strong currency both in popular and academic discourse and post-gender design considerations have had public presence—for example in transgender bathrooms, toy and tool aisles at big box stores, and the video game industry. This Salon will take on the following provocations: Is gender-neutral design possible, or even desirable? Is gender-neutral design the same as post-gender design? How might gender-based design decisions influence cultural narratives? How do such decisions play out globally when concepts of gender and gender roles vary greatly between cultures? How does one balance such decisions in design practice given market forces and cultural impediments to change? Hayasaki, Erika, Is AI Sexist? Anne McClard is a Senior Researcher in the Data Center Group at Intel Corporation. She holds a Ph.D. in anthropology from Brown University, where she did seminal research on the emergence of the World Wide Web, and since then has worked at Apple, US WEST/MediaOne Broadband Labs/ATT Broadband Labs, and Qubit Technologies. In recent years, Anne has focused the emergence of the Internet of Things, the maker movement and topics related to wearables and physical computing. Most recently, she led a global study of children’s play as it relates to the future of toys. Throughout her career, she has sustained an interest in gender issues in academia and technical industries. 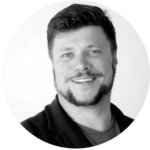 John Payne is a Co-Founder and Managing Director at Moment, a digital strategy and design firm, where he has worked with financial services, media, healthcare, and retail companies to create innovative products and services that deepen customer relationships and provide lasting value. He has guest lectured on design at Pratt and SCAD and taught graduate and undergraduate courses in design methodology at Parsons and NYU. John served as co-chair of Interaction 17 and EPC2012. Welcome to EPIC! What’s Next? The world of ethnography in business has changed significantly in the last decade, influenced by industry trends as well as the innovative work of ethnographic practitioners. Social scientists are increasingly looking outside the academy for work, as businesses increasingly value “human-centered” approaches scaled bigger, faster, and cheaper. And expectations for what ethnographers do, what insight we bring, and what value we deliver may be expanding. Who do we want to be and what kind of work do we want to do as the new generation of ethnographic practitioners? Where and how do we want to add value? What capabilities do we need to build and establish now to prepare ourselves for the future of ethnographic praxis? How can we ensure that new practitioners are ready to take on the work of applied ethnography? What taken-for-granted beliefs and concepts in our industry could use a rethink for our vision to happen? What best practices do we want to retain? 2014 De-Anthropologizing Ethnography: A Historical Perspective on the Commodification of Ethnography as a Business Service. In Handbook of Anthropology in Business. Rita Denny and Patricia Sunderland. Pp. 43-68. Walnut Creek: Left Coast Press. 2015 The Trouble with Job Titles: Getting beyond Buzzwords in a Shifting Employment Landscape. EPIC Perspectives. 2017 Episode 14 Phenomenology, Design, and the Human Experience with Christian Madsbjerg. Hidden Forces. 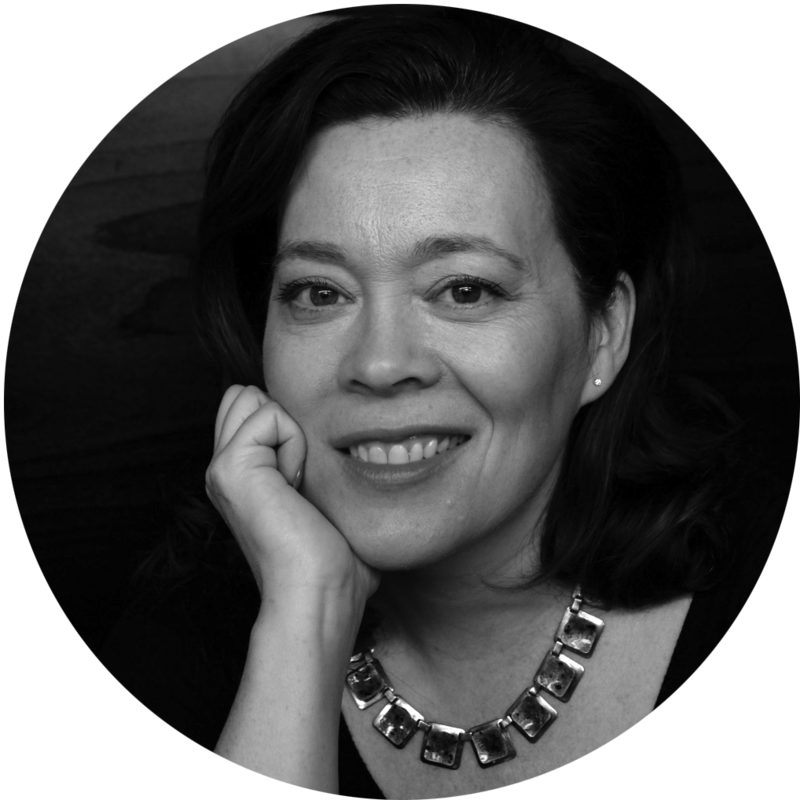 Maria Cury is an applied anthropologist and a Manager at ReD Associates, a strategy consultancy. She has worked with clients in healthcare, consumer goods, automotives, and technology, and has conducted fieldwork in Brazil, Thailand, Spain, the U.K., and the U.S. She has conducted ethnographic research on a range of topics, including chronic illness, the changing roles of women in societies, parenting and childhood, and processes of art-making and craftsmanship. 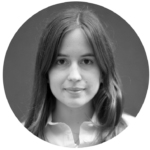 Maria holds an MSc in Visual, Material, and Museum Anthropology from the University of Oxford, and a BA in Social Anthropology from Princeton University, with a certificate in Visual Arts. 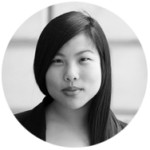 Carolyn Hou is a cultural anthropologist and innovation and strategy consultant. She has conducted in-market immersions around the world for Fortune 500 companies in healthcare, automotive, consumer goods, consumer electronics, retail, and telecommunications industries. Hou works in close collaboration with cross-functional teams to translate research findings into new recommendations for product and service innovation, marketing and sales initiatives, and corporate strategy. Hou earned her graduate degree in Social Anthropology from the University of Oxford, where she also served as President of Oxford Women in Business. She currently works at ReD Associates in New York City. 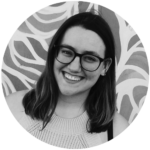 Liz Riedman is applied anthropology Master’s student at Wayne State University, working with local Detroit community organizations to implement ethnographic research projects. 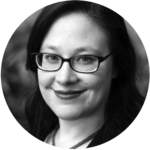 Additionally, she works as part of the user research team at ITHAKA, where she helps bring the world of anthropology into practice. Her research interests focus on everything from rust belt cities and applied methodologies to technology and community organizing.